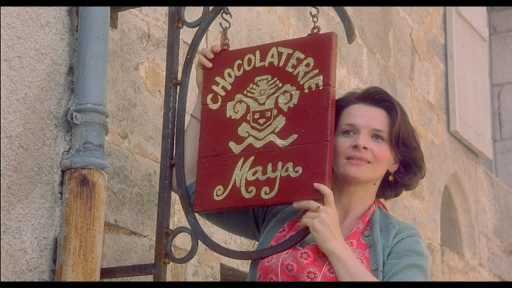 Chocolat – A movie review. Any movie with Johnny Depp in it deserves watching over and over, wouldn’t we agree ladies? ;) Combine him with something else we ladies enjoy – chocolate – and this film is a winner even before you unwrap the shrink wrap from the DVD. 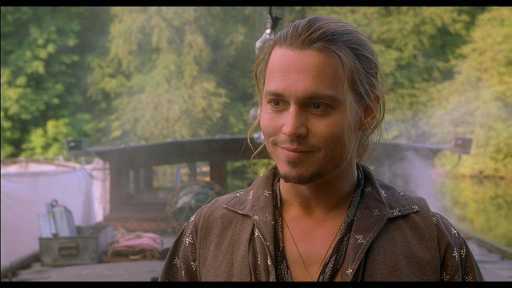 But this one is special for reasons other than Johnny Depp and many stunning images of chocolate. My advice to you if you’re going to watch this film – make sure you have some chocolate in the fridge, because this one will make you hungry for it. Lindt is my preference, but to each their own. Now there is a book this movie is based on, however if you have read the book you will be a little unhappy because the movie does not quite resemble the book. Even so, the movie makes up for that, I think. 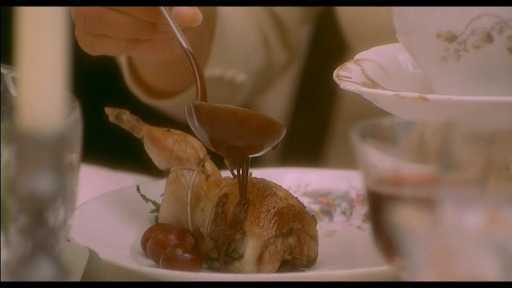 So, let us get into what I love about Chocolat. 1. The way all the characters are connected to each other in some way, the sense of community. It’s difficult to describe but to me there is a real sense that the villagers have all known each other for centuries. A difficult thing to achieve when you’re putting together a movie and in other movies it often feels forced, or not real. Not this one. Delightful. 2. The music. Haunting without taking away from the movie itself. It’s not until after you watch it when you try to sleep that you’ll find it playing in your head. I find it usually lasts for a good couple of days after watching this one. Unusual, for a movie soundtrack. 3. The story. Good VS bad, Church VS Chocolaterie, moral VS immoral, there is so much here to see. A very well put together tale. 4. The costumes. Many of the villagers wear dowdy clothes in dull colors and Vianne the immoral chocolate maker is a vision in bright colors. Even when wearing dark blue, they gave her red shoes. Those who have been reading the blog for a while know that I love to look at shoes, especially high heels. I don’t like to wear them but I like to look at them, and there are times in this movie when Vianne’s shoes distract me from the chocolate. 5. The food. Wow, it all looks so good! 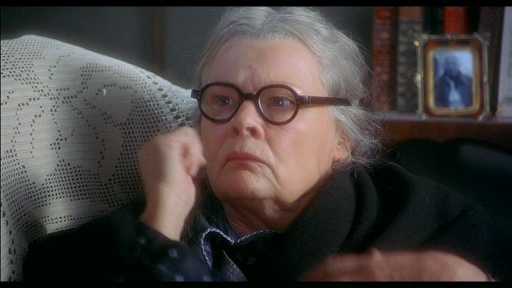 Dame Judi Dench as Armande Voizin – A wonderful performance. 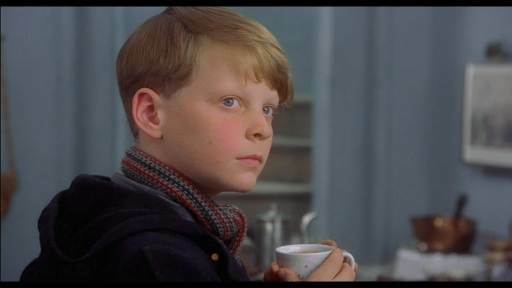 Aurelien Parent Koenig as Luc Clairmont – Armande’s Grandson. What a start to a career to work so closely with Dame Judi Dench. The relationship between them on screen is lovely to watch. A sight for sore eyes in a time of action movies and too many special effects. 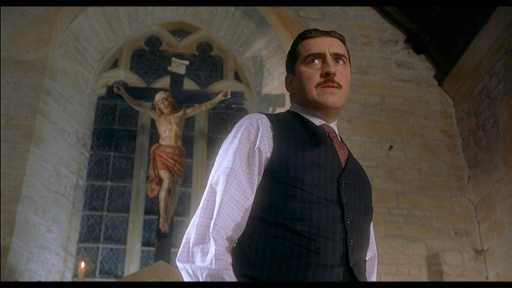 Alfred Molina as Comte Paul de Reynaud. Every movie needs a bad guy, and he makes a brilliant one. Carrie-Anne Moss as Caroline Clairmont. Does she look familiar? Her role in the movie previous to this was in The Matrix. I’m glad she chose this role right after it because such a strong role as Trinity was you run the risk of being “stereotyped”. 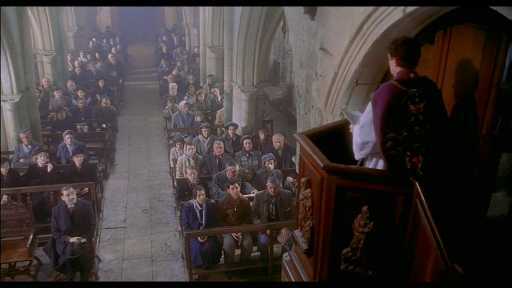 Hugh O’Conor as Pere Henri. 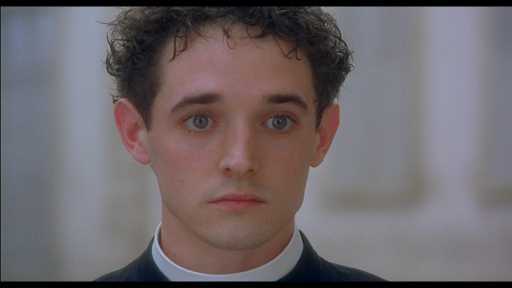 He is absolutely perfect as the young priest trying to walk a fine line between Church and Chocolaterie. 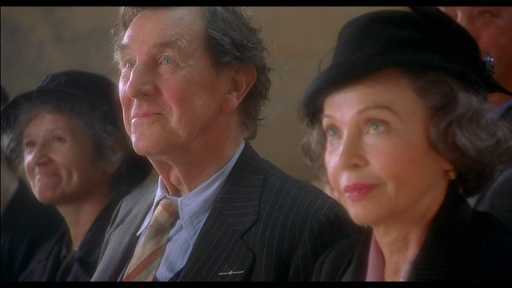 John Wood as Guillaume Blerot and Leslie Caron as Madame Audel. Again just lovely to watch. 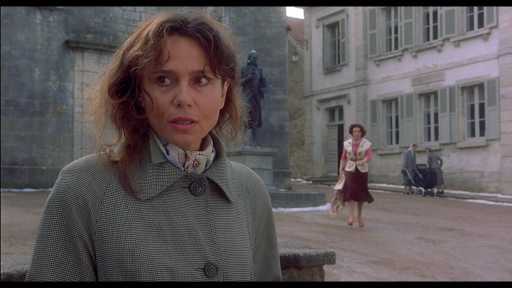 Lena Olin as Josephine Muscat, who makes quite the transformation during the movie. Victoire Thivisol as Anouk Rocher – a big role for a young girl but she is awesome in it. Juliette Binoche as Vianne Rocher and she is captivating, curvaceous, delightful and something is going on with her hair that will make you wish you had a big set of hair rollers. Men reading this, you will enjoy watching her I’m sure while we ladies enjoy….. I can truly say this is one of my favorite films. If you have not seen it, you might want to look out for it on DVD. You won’t regret it. I have watched this movie several times and absolutely adore it. You might like the sequel to this novel, The Lollipop Shoes by Joanne Harris. 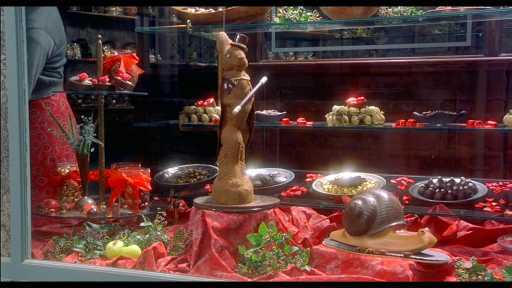 I agree you must have chocolate!! Your review is fabulous also, great photo’s that capture some of the huge spirit of this film. 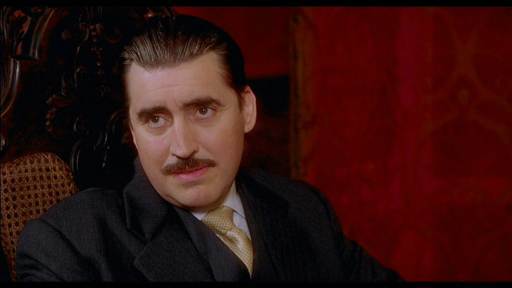 I love this one, and especially Alfred Molina, who I was surprised when I discovered where his debut was – as the guy who betrays Indi in the cave at the beginning of Raiders…. When I saw this movie after all the advertising hype, I was disappointed as didn’t seem to be able to follow the storyline, but I think I’ll give it another look and see if it’s less confusing this time. After all, I am a big fan of chocolate! I loved this movie. It exceeded my expectations. this was a great movie. now i want to go out and rent it again, it has been a long, long, time! Aurelius – me too! One of the first things I did after watching that movie was go to imdb and look at what he had been in before, because he looked so familiar! hiiiiii amazing review absolutely loved it… i dont know if u applied for the Depp Blogroll….. but u r getting on it right away… i see u linked to us and now this amazing review! !